Hallo und willkommen to my Patreon page! 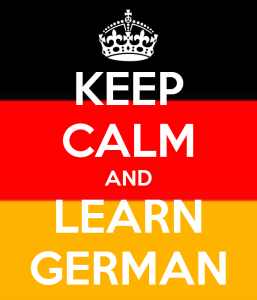 I’m MeisterLehnsherr from Learn German – Get Germanized on YouTube. How many videos do you make each week? - I make three videos every week, so 12 videos a month! You'll be charged PER VIDEO so make sure to set a monthly maximum if you don't want to go over a certain amount! When am I eligible for my rewards? - After a full month of support. I’ve created this Patreon page so that you guys have the chance to support the channel and enable me to continue to bring you videos each week. Preparing , filming, editing and planning future projects takes a lot of time but it’s something I love and wanna keep doing and you now have the opportunity to help me do this! I started the Get Germanized channel as a hobby to improve my own language skills and I’ve never would have believed that it would grow into what it is today. It’s so incredible to see how big the Get Germanized community has grown and continues to grow. I just love seeing people from all over the world coming to my channel to watch my videos, learn German and connect with each other in the comments! By becoming my patron through Patreon, you can have a direct impact on the quality of my videos. Producing videos is fun but takes a lot of time and effort. With the support that you guys can give me through Patreon I will have more resources to pull from to do a lot of the projects that I haven't dived into yet, as well as spending more time on every single one of the videos that I release! This IS my full-time job and you can help me to be less dependent on YouTube ad revenue! If you wanna help, become a patron today to keep Get Germanized alive! Access to the regular Patreon-only livestream in where you can ask me questions and hang out with me! An exclusive Discord role on the Get Germanized community server! Anything from the previous reward tier plus you'll be part of a monthly German loot crate giveaway! $15 monthly minimum! Anything from the previous reward tier plus you can enter one video each month that will be added to the production list! Make sure to choose a realistic topic that I can film without having to travel across the world (or use PayPal to transfer sufficient funds and your video wish)! I'll also name you personally in this video (if you want)! $40 monthly minimum! Anything from Tier 1-2 and also you can converse with me here on Patreon and I will 100% respond to your messages and try my best to answer your questions! $50 monthly minimum! Regular "learning German" lessons! Since creating these takes a lot of time and effort a certain level of financial stability will ensure their quality and ongoing production!